The Roscoe Basic TENS Units offer a variety of options at an affordale price to satisfy your patient’s needs. Provides relief from a variety of pain including back pain, headaches, sports injury and general muscle pain. Pulse width (60-250) and pulse frequency (2-150) are adjustable. Equipped with a 360 degree wire connector. Comes with carrying case, lead wires, 9-volt battery, manual and pack of four adhesive reusable electrodes. TENS/EMS Units & Stimulators can be found in our extensive online collection of products from globally recognized and trusted brands, including Roscoe Medical. 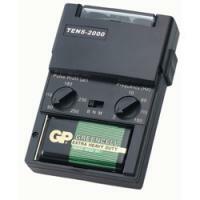 An excellent option to consider is the Basic TENS Unit.